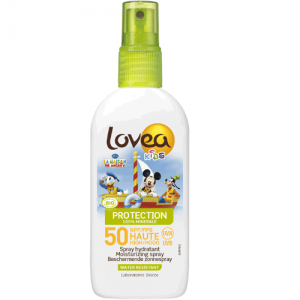 Great value organic after sun in a light and easily absorbed formulation. 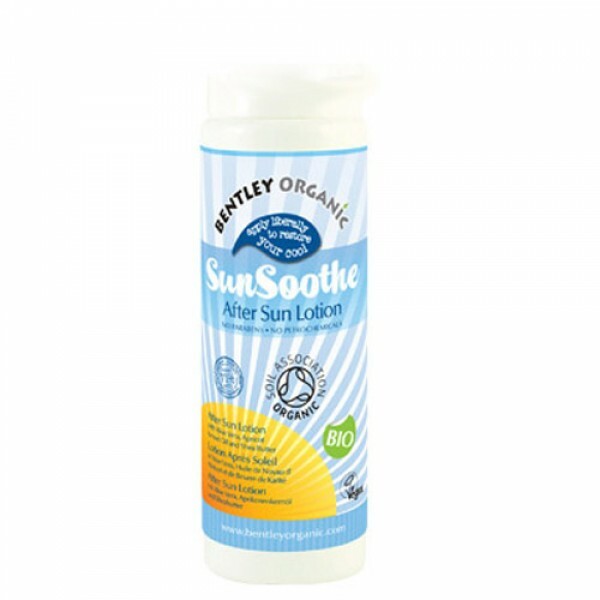 With soothing organic Aloe Vera and Chamomile to cool and calm your skin. Ideal for all the family in a large bumper value bottle. Shea butter and vitamin E help with skin repair, perfect when you've had bit too much sun. Bentley Organic products are made in the UK by a family run company and are certified organic with the Soil Association, one of the highest organic standards in the world. Aqua (Water), Coco Nucifera (Coconut) Oil*, Helianthus Annuus (Sunflower) Seed Oil*, Glycerin, Cetearyl Glucoside, Alcohol, Aloe Barbadensis (Aloe Vera) Leaf Juice Powder*, Prunus Armeniaca (Apricot) Kernel Oil*, Butyrospermum Parkii (Shea Butter)*, Chamomilla Recutita (Matricaria) Flower Extract*, Anthemis Nobilis (Chamomile) Flower Oil*, Citrus Aurantium Amara (Bitter Orange) Extract, Tocopherol (Vitamin E), Aroma, Glyceryl Caprylate, Potassium Sorbate, Acacia Senegal Gum, Xanthan Gum, Citric Acid. 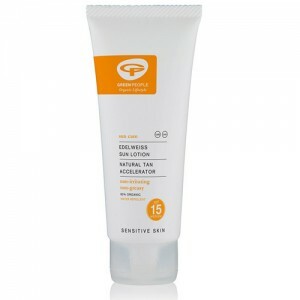 Smooth on all over to help cool and rehydrate your skin after sun exposure.